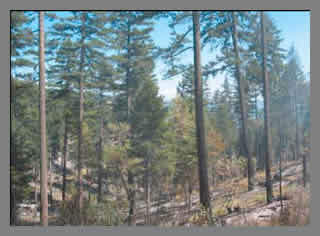 A computer simulated visual has been constructed, depicting the effects of a forest fire on thinned forests versus unmanaged forests. They are about 1 MB each, so a high speed connection is recommended. 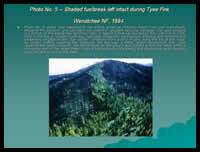 Effects of a forest fire on forest that has NOT been thinned. 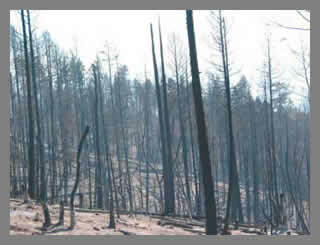 Effects of a forest fire on forest that HAS been thinned. 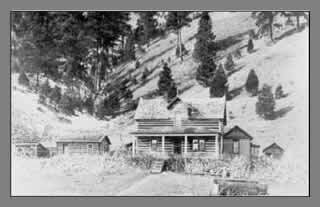 The 1895 photo shows natural forest stand conditions that evolved from regularly occurring, low-intensity, surface burning. 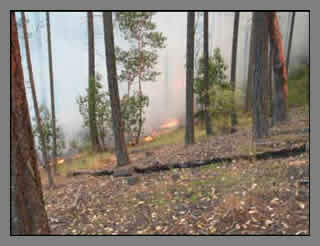 The forest was open and dominated by fire-tolerant, fire-adapted ponderosa pine. 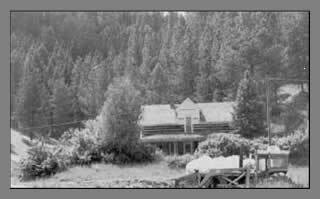 The 1980 photo (from the same place) shows how the forest has changed dramatically since 1895. Over the years small trees have established into dense thickets. 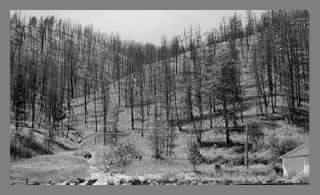 These fire-intolerant tree species now crowd the forest, pre-disposing the area to insect infestations, disease outbreaks, and catastrophic wildfires. Follow this link to view Healthy Forests: An Initiative for Wildfire Prevention and Stronger Communities in it's entirety. It is a PDF so you will need Adobe Acrobat Reader®. Click here for a free copy of Acrobat Reader®. This short series of slides is part of a US Department of Agriculture Forest Service report titled Changing Economics of the National Forest Timber Sale Program. 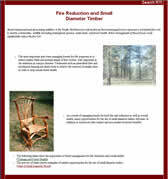 For more information regarding forest fire prevention, visit the RTI page titled Fire Reduction and Small Diameter Timber. Be sure to check out the slide shows found at the bottom of the page!!! Living with Fire is an educational game that puts you in the place of a fire manager, based on research and tools developed for real-world fire management. Recommended for ages 10 and up. MSNBC.com Research has produced an informative animation of the history of Our Country's forests. It briefly explains the different stages of Our forests through recent history, how these stages react to fire, and how we can work to protect our forests from catastrophic fires in the future. 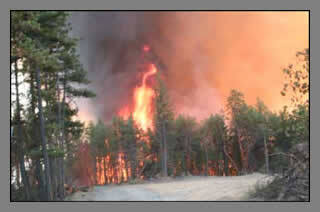 Click here to view "Fighting fires, fixing forest."